Whether you’re about to venture off on your first big trip or you’re a seasoned explorer, travelling can take a great deal of planning and googling. Hopping on a tour instead of organising your own itinerary can ease up time and worry that is better spent sipping your favourite cocktail in a funky bar with your new mates. The only hard part is choosing which tour to take! Here are 8 reasons why you should travel on a tour. Why waste time waiting for a delayed train to arrive, chatting up the receptionist during check-in or booking your accommodation separately in each destination, when you can just drop your bags and go explore? You will have peace of mind knowing that you can chill, enjoy the views on your comfy coach and be taken to straight to your hotel or hostel. Instead of getting surprised when you realise that you have to drag your luggage on cobblestone streets to your accommodation, which is a 20 minute walk away from your stop! Let’s be honest, there are still some sketchy parts of town around the world even though it’s 2018. Travelling with a group takes away safety concerns and lets you to relax instead of worrying about who’s going to have a little peek in your backpack. Not only will you be able to reassure your loved ones back home that you’re surrounded by like-minded people, but the tour guides will also be able to give you a heads up on the most common types of scams in the destination you’re visiting. You can keep a lookout and avoid them when you get there. You know what they say, every dollar adds up! Your transport, accommodation, some meals and some inclusions are usually already added in the price of your trip. So once you’ve paid for the tour upfront, you really only need to save up for spending money. Tour companies also get great ‘hook ups’ with hotels and activities so you typically pay less than you would if you were booking on your own. Being in a bigger group also means you can score extra group discounts when it comes to activities, whether it’s a bike tour in Paris or a ‘show’ in Amsterdam. 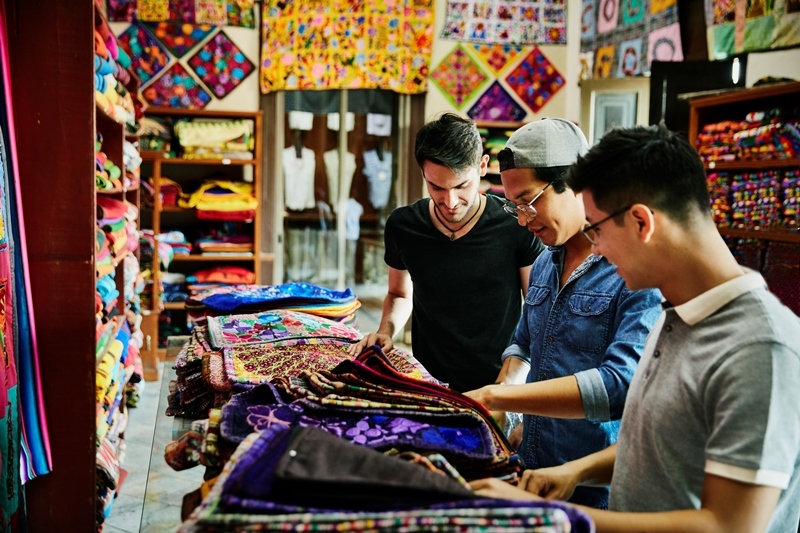 Chances are your tour guide has travelled to your destination quite a handful of times and that means they’ll know the ins and outs of town, from where to grab cheap lunch, to where the best and most authentic souvenirs are. Plus, if you’re a history nerd, you’re likely to score a free lesson or two and learn some fun facts about your destination – something you would usually need to research yourself if travelling independently. 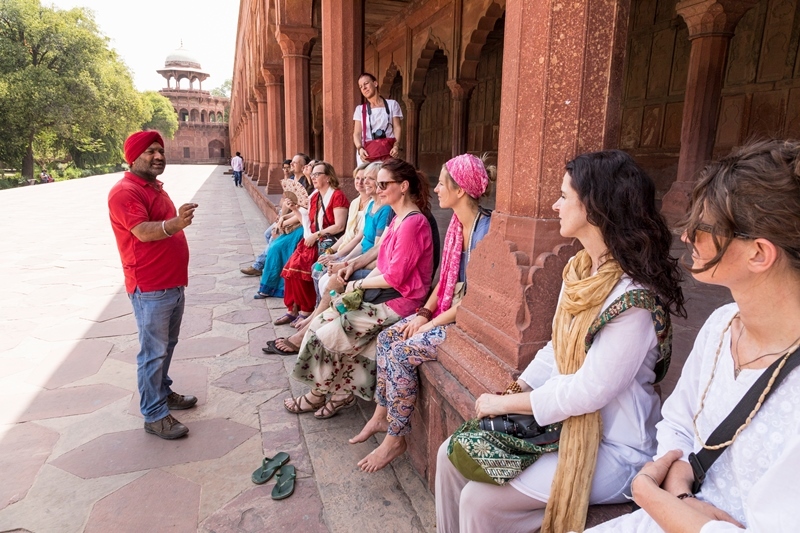 If you’re doing sightseeing around the city, your trip leader can also connect you with a local tour guide who will take you around town and show you the best spots that other tourists won’t know about. Some tours have a capacity of 10, some have 50, so it’s no secret that you’ll be spending a lot of time with different types of people. Not only will you never feel alone but you’ll be making new friends that you’ll keep for a long time. You know what they say, if you can travel with someone and still talk at the end of your journey; your friendship will definitely stand the test of time. Plus, if you’re travelling in the tour solo, you can ditch the selfie stick since your new mates can take your photos instead! Wherever you end up, the road rules will somehow be different from your hometowns’. One great thing about hopping on a tour is not needing to worry about the fuss of driving. You won’t have to stress about road rules, finding a place to park in a busy one way street or figuring out directions to your next destination. You can simply sit back and watch the beautiful scenery through the large glass window from your comfy elevated coach. Don’t know how to speak the local language? Didn’t get enough cash out? Google Maps’ not quite telling you the right directions? Luckily your tour guide and your fellow tour mates can help you out! Some intrepid destinations are tricky to get to on your own and are not as easy to navigate compared to iconic destinations. 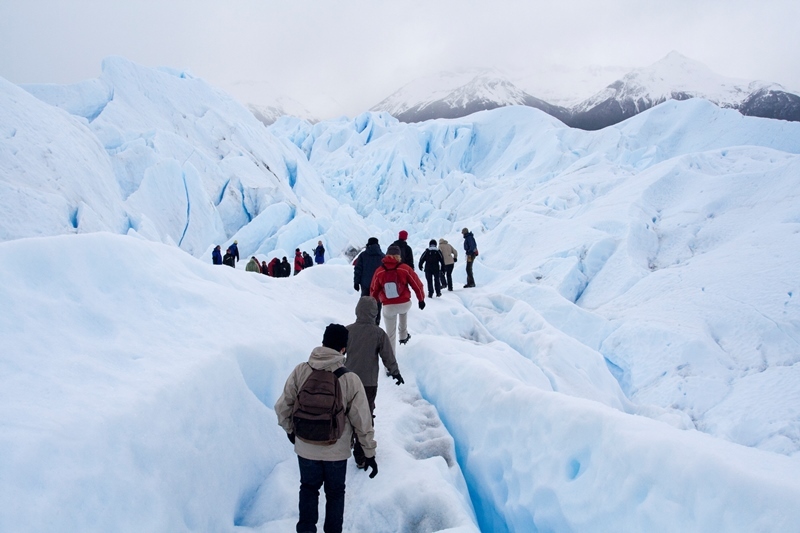 For example, heading to Antarctica or the Galapagos Islands is much easier when going with a tour. Time to bust a longstanding myth about tours! Yes, you still do have the freedom to explore on your own. Tours are very handy when it comes to having everything organised for you and have readily available options when you want to sightsee your destination. But if you want to get lost on your own and discover at your own pace, you can do that too. These days, tours are no longer about following the flag in a crowd of tourists but more about making travelling easier for you. So don’t worry, you’ll get plenty of ‘me time’! A lover of culture, languages and soul food, Paola loves getting lost in adventure whether it's on the beaches, cityscapes or the great walks. Born in Philippines and growing up in the land of the great white cloud with a full time role in the travel industry, Paola is pinning her way through the map.